Merry Christmas everyone! This week for Anime Sunday I’m taking a look at the past season. It’s my Winners of Fall 2016! 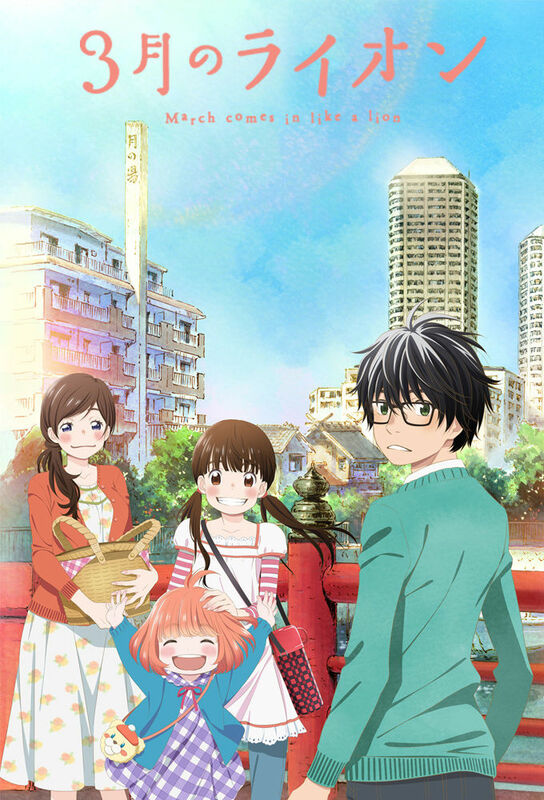 3-gatsu: This was a really awesome series that goes into how it feels to be depressed, and it’s not even over yet! We still have another season to go through. Yuri on Ice: This series really pushed the boundaries on Anime, and it had some amazing choreography animation. If you are getting praised by actual Olympic ice skaters you must be doing something right. 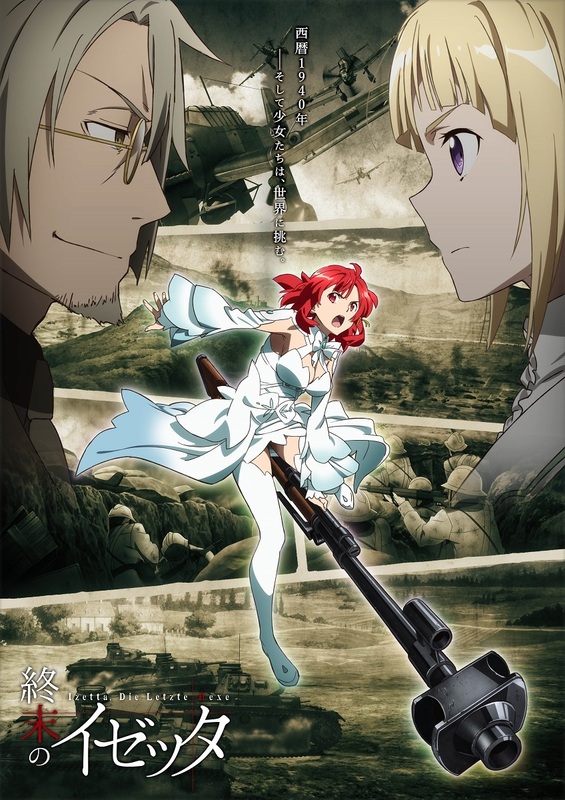 Shuumatsu no Izetta: This was a great take on the second World War, plus I’m all for having badass female leads. Keijo: Keep on pushing that envelope Japan. Maybe the rest of the world won’t be so prudish if you keep doing it. Or not, still this was amusing if only for the GIFs I kept seeing on Twitter. That’s it for this Christmas edition of Anime Sunday, next week it’ll be a new year and I’ll be looking ahead at the upcoming season. This week for Anime Sunday I’m covering one of my favorite Anime of the Fall 2016 Season. It’s my 3-Gatsu Episode 01 Impressions! Plot Synopsis: Kiriyama Rei is a 17-year-old professional shōgi player who lives by himself. He is estranged from his family and has scarcely any friends. Among his acquaintances is a family which consists of a young woman—Akari Kawamoto—and her younger sisters—Hinata and Momo—who also keep several cats. Plot: The plot is very well done, and frankly the way they handle the pacing of each episode is amazing. They cut each episode into various chapters, which actually coincide with the original Manga chapters pretty well. I love 3-Gatsu for the way it handles Rei and his Depression, something that is plainly obvious from the outset of this series. It deals incredibly well with how it feels and conveys those feelings in ways those who never have dealt with it can understand. As someone who has and still does deal with Depression every day I can attest to that fact. There are comedy portions, but they are the lighter spots in Rei’s life and the first episode. Characters: Rei is a really well done Male Lead, like I said above. The rest of the cast is also really good, from the Kawamoto sisters to their cats, who are frankly batshit crazy. The cast is rather small in this first episode, but it will expand in later episodes. Art: The art is amazingly well done, which isn’t a surprise since this is animated by Shaft of Monogatari and Madoka Magica fame. The opening and ending sequences are well worth watching as well. Music: The musical score is amazing, especially the opening and ending themes which are both performed by Bump of Chicken. Fighter, the ending theme, in particular is a song that was literally written for the series by the band a couple years ago. Overall: This is an amazing series that you need to be watching. Period. For those who like: Slice of Life, Shogi, Drama, Amazing Plot, Fantastic Cast of Characters, Awesome Artwork, Excellent Musical Score. Not for those who don’t like: Any of the above, but how can you hate all of that? This week for Shoujo Saturday I’m covering a series I read while on my Thanksgiving Holiday, It’s Sangatsu no Lion, or March comes in like a Lion, by Chica Umino. Sidenote: As for why there is a Youtube video instead of a volume cover of the series this week it’s because Umino loves BUMP OF CHICKEN, the band in the video, and BUMP OF CHICKEN loves Umino’s work. I also happen to love both of their works and thought that their collaboration video was worth posting. The music video is excellent, even if you can’t understand the words. Plot Synopsis: The series is set in Tokyo, following the everyday life of a 17-year old shōgi player, Rei (lit. “Zero”). The protagonist Rei is a 17-year old professional shōgi player, who lives by himself, not having a real family, and has scarcely any friends. Among his acquaintances is a family of sisters, which consists of a young woman, Akari, and two young girls, Hinata and Momo, and who also keep a numerous number of cats. Plot: The plot is rather deep and deals with depression and loneliness and loss of loved ones. That being said, it’s also a story of hope and understanding and finding a family for oneself, even if they aren’t blood. Plus theres a bit of shogi thrown in which is always fun. Characters: The characters are all very believable, and while some are just despicable jerks it doesn’t mean they break the suspension of disbelief. My favorite is probably Hinata, because she’s just such a well rounded character although I can’t say anything as to the why of that as it would spoil lots of things. The entire cast is great though. Overall: You really ought to read this series, it’s worth the time. For those who like: Just a good series that makes your heart feel a bit lighter afterwards, Shogi, Chica Umino, Romance.